But after missing two cycles, she took a pregnancy test that came back positive. She recounts not feeling any morning sickness, or any of the other typical signs of pregnancy. When she found out she was pregnant, the excitement and anticipation of another child returned. She was in her obstetrician's office 2 weeks later at the end of October 2017. The usual joy of the first ultrasound dissipated as they realized the baby had no heartbeat – she had miscarried at month 2. The doctor had to perform a dilation and curettage, and she was left grappling with the physical pain and emotional trauma of the loss. To go from not realizing you're pregnant to getting excited about a second baby, to losing the baby in such a short span leaves your emotions playing catch up to reality. Dani was devastated. A year later, this summer of 2018, she sat on her bed, recovered and thinking of trying again. Her thinking was interrupted by a persistent itch on a spot, almost beyond her reach, on her back. As she stretched her arm to scratch her back, her hand grazed “something” in the area where your breast meets your armpit. Her brain registered that it didn't feel "normal" so she grazed it again. No, it was definitely there, a paintball-sized lump on the lateral side of her right breast. She catapulted into action. 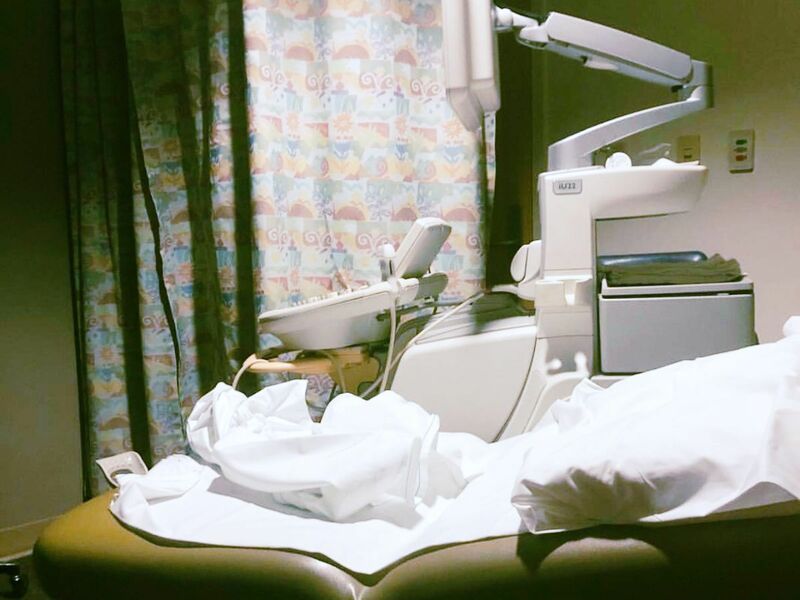 Dani's examination room at her oncology OB, who will closely monitor her until she gets her hysterectomy. At the inception of a cancer journey, the amount of information a patient is asked to process is massive. 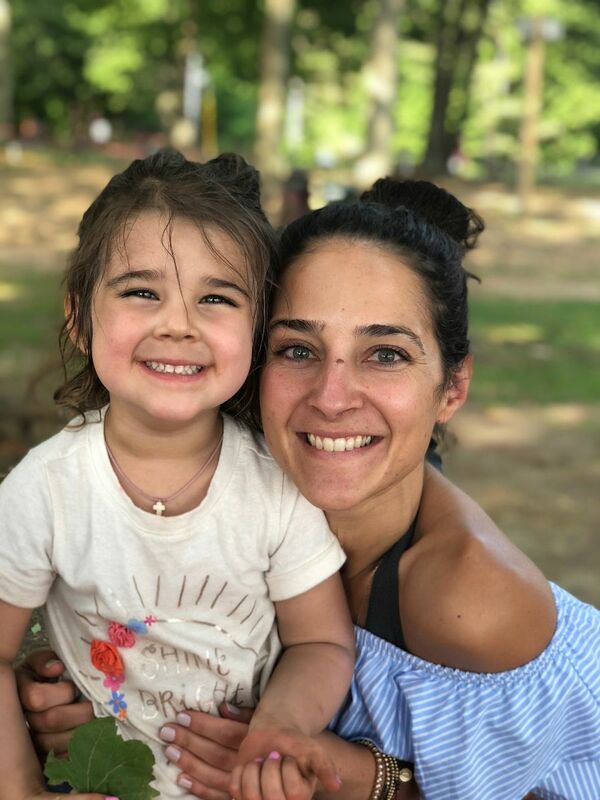 “You suddenly need appointments with oncologists, genetic counselors, IVF specialists (if you still want children), a general surgeon, plastic surgeons, labs, MRIs, and then second opinions on everything at a different hospital.” Dani was overwhelmed. At Dani’s hospital, a nurse navigator helped her understand next steps and what to expect. The navigator made every single appointment for her. For the last 3 weeks of June, Dani worked a total of 5 days. The rest of her time was consumed with tests and appointments. 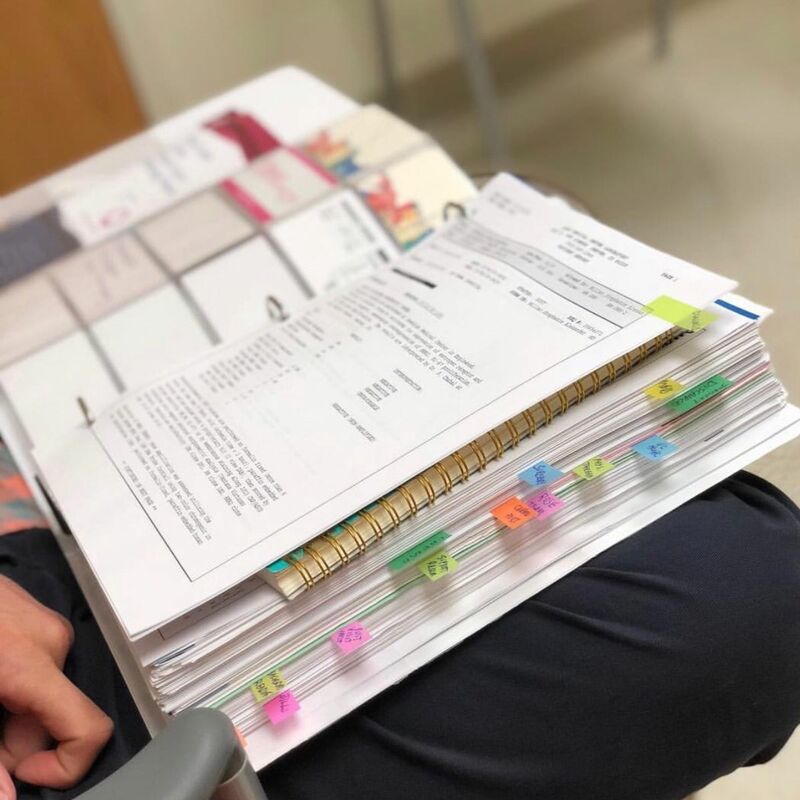 Dani's actual binder of information. 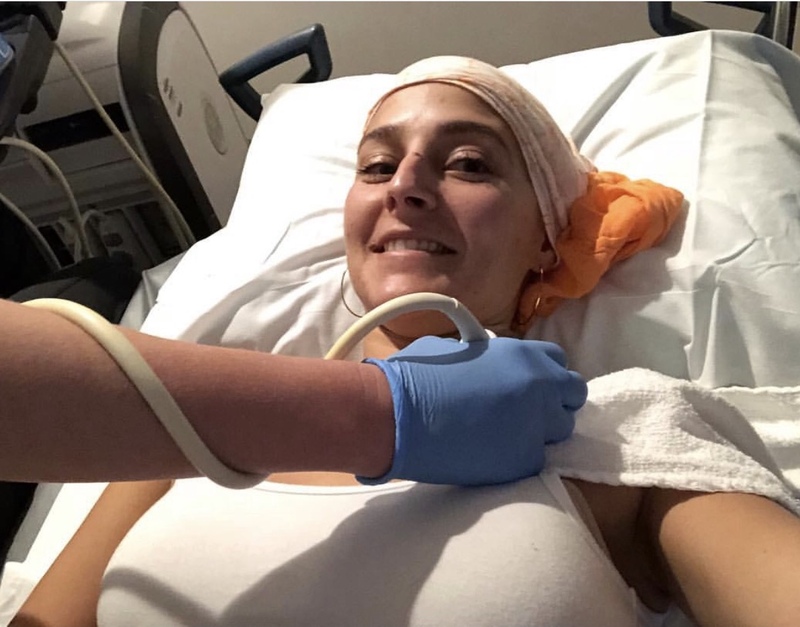 Dani having an ultrasound to check on her chemo port to ensure she doesn't have blood clots. 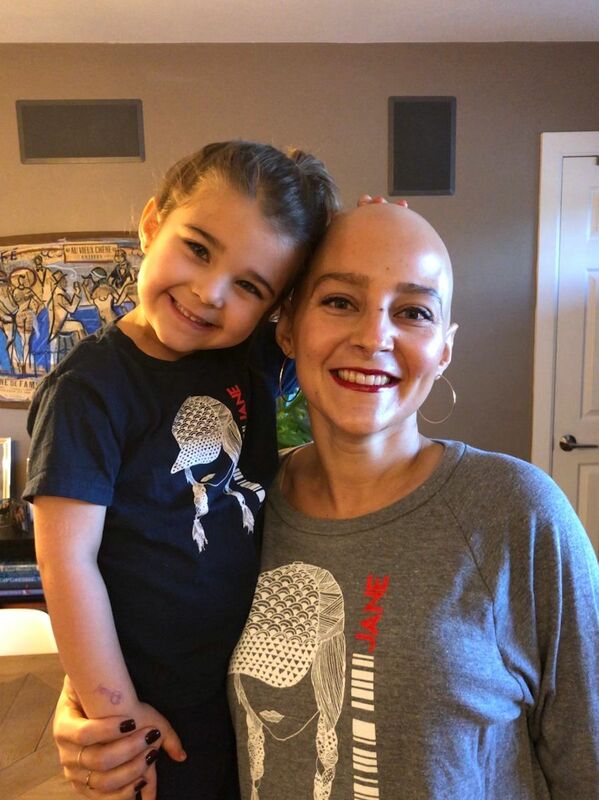 Before starting chemotherapy, Dani decided to own the hair loss that comes with chemo and celebrate it. 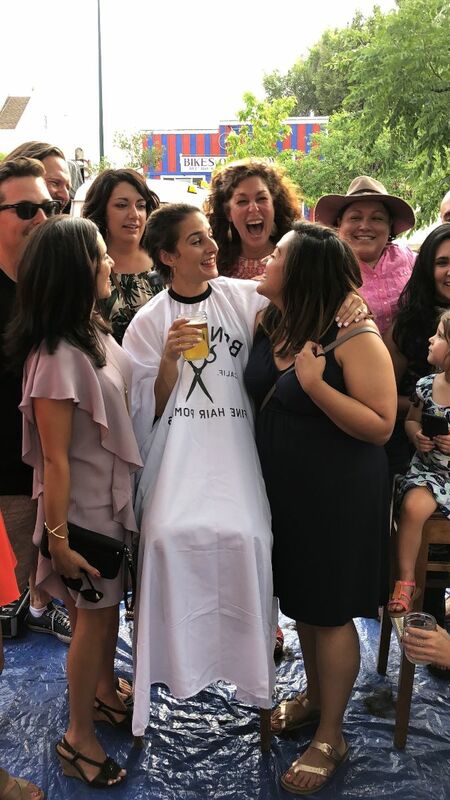 She got a bunch of her friends together to honor the milestone and raised money to help other women going through this process afford fertility treatments. 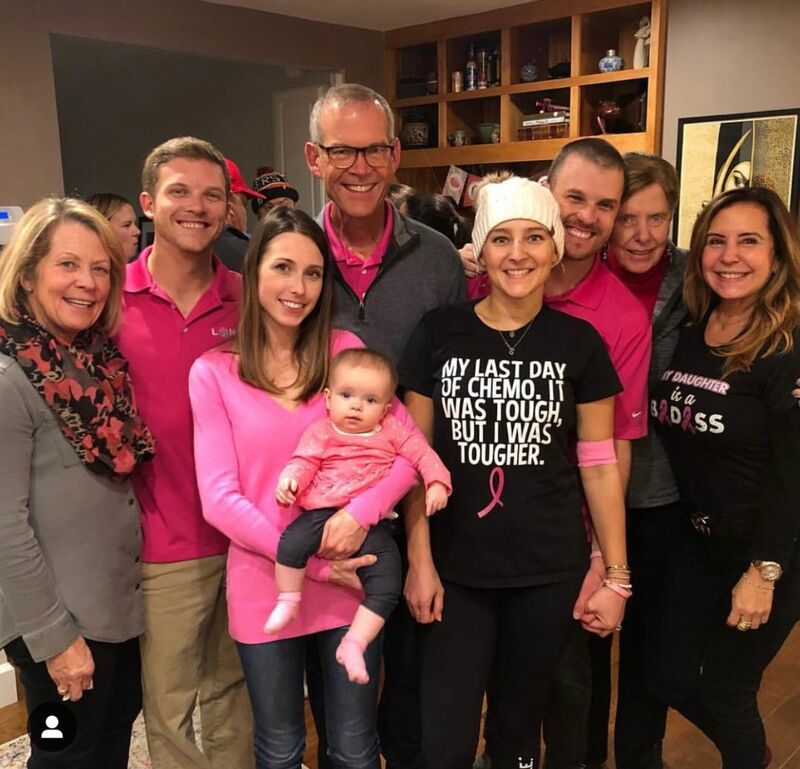 (Check out Team Maggie for a Cure). Dani getting her head shaved at a bar in Denver, sponsored by Ollie's barbershop. So often we hear of the horror stories of a cancer prognosis – late stage diagnosis, poor treatment options, and grim survival rates. 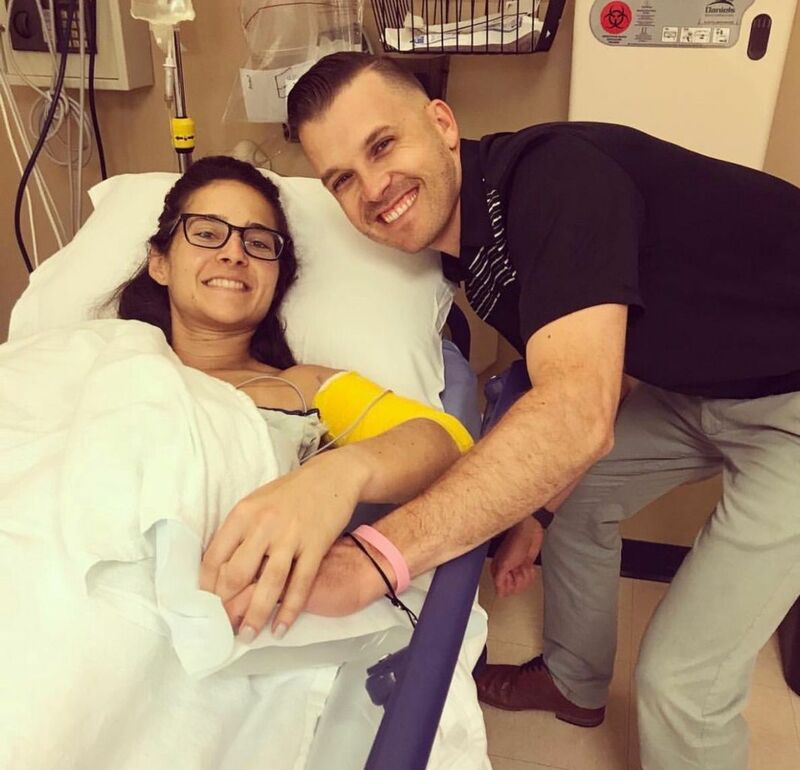 Dani's story highlights what our medical system can look like at its best: vigilant, empowered patients along with doctors who listen and take action quickly. 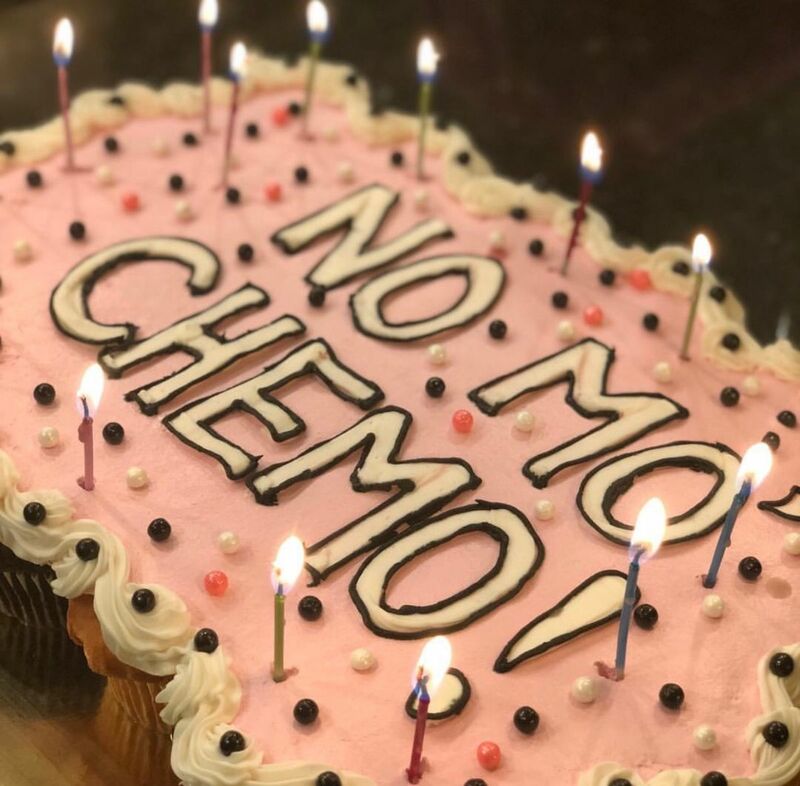 Since Dani's cancer was found early, and her treatment plan was catered to her specific type of cancer, her prognosis is hopeful, with less than a 10% change of recurrence. We celebrate you Dani, and we are with you on this good fight. Jane Fam, Holiday season brings with it a complex set of emotions. It’s both a happy and sad time, and sometimes both simultaneously. Dani's story is no different. All of our stories are full of joy, loss, difficult decisions and preciously perfect moments. We hope you take care of yourselves this month and we look forward to seeing you in the New Year. Want to Change the Landscape of Diagnostics Available for Women? Sign up to be a Beta Tester for NextGen Jane by Clicking Here.